The Stellar Impact was designed with the most demanding users in mind. 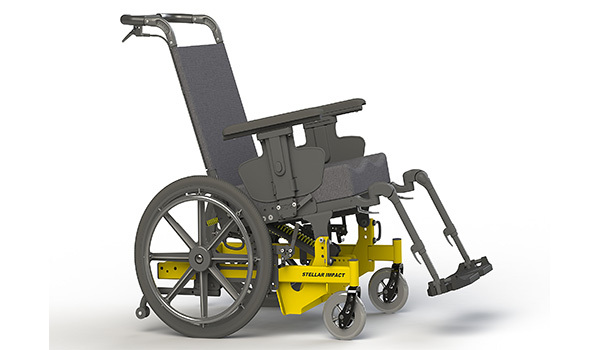 It offers up to 45° of low knee rise tilt and a variety of available on-chair accessories. 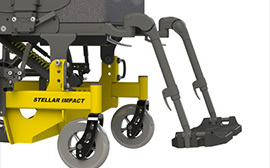 As such, the Stellar Impact is almost identical in function to the standard Stellar, but its ultra-tough steel construction makes it perfect for situations that require the most durable tilt chair available. 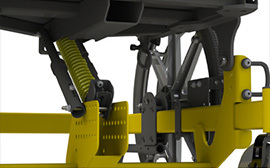 Rugged steel construction results in a highly durable frame for the most demanding of users. 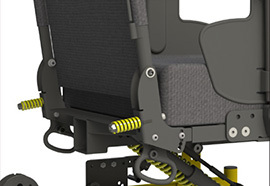 Allows for fine adjustment of the chair’s centre of gravity to allow for more stability and comfort. 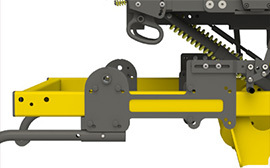 The impact absorbing gas strut and optional damper provide for superior energy dissipation. Additional dampening is available with the PDG spring back.